Problem beim öffnen - ZModeler/Blender - Fragen, Hilfe, Problemlösungen, Support - User helfen Usern - Trucksimulator24 - Die freundliche Trucksimulator Community rund um den Euro Truck Simulator 2, Euro Trucksimulator, German Truck Simulator, 18 Wheels of Steel Reihe, Extreme Trucker und den ZModeler. Antworten im Thema: 6 » Der letzte Beitrag (Mar 23rd 2018, 10:59am) ist von mamba001. Hey leute ich bin neu in der materie zMod. Nun wollte ich etwas öffen und bekomme aber nur ein schwarzes Bild und folgende Fehler. Can't open file for read: C:/users/felix/desktop/neuer ordner/vehicle/truck/scania_rcab_edit/interior/vehicle/truck/scania_rcab_edit/interior/materials/dashboard_r11.mat. Can't open file for read: C:/users/felix/desktop/neuer ordner/vehicle/truck/scania_rcab_edit/interior/vehicle/truck/scania_rcab_edit/interior/materials/plastic_dark.mat. Can't open file for read: C:/users/felix/desktop/neuer ordner/vehicle/truck/scania_rcab_edit/interior/vehicle/truck/scania_rcab_edit/interior/materials/plastic_dark_look2.mat. Can't open file for read: C:/users/felix/desktop/neuer ordner/vehicle/truck/scania_rcab_edit/interior/vehicle/truck/scania_rcab_edit/interior/materials/fabric2.mat. Can't open file for read: C:/users/felix/desktop/neuer ordner/vehicle/truck/scania_rcab_edit/interior/vehicle/truck/scania_rcab_edit/interior/materials/rubber.mat. Can't open file for read: C:/users/felix/desktop/neuer ordner/vehicle/truck/scania_rcab_edit/interior/vehicle/truck/scania_rcab_edit/interior/materials/shadow.mat. Can't open file for read: C:/users/felix/desktop/neuer ordner/vehicle/truck/scania_rcab_edit/interior/vehicle/truck/scania_rcab_edit/interior/materials/plastic_dark_v8.mat. Can't open file for read: C:/users/felix/desktop/neuer ordner/vehicle/truck/scania_rcab_edit/interior/vehicle/truck/scania_rcab_edit/interior/materials/fabric_walls2.mat. Can't open file for read: C:/users/felix/desktop/neuer ordner/vehicle/truck/scania_rcab_edit/interior/vehicle/truck/scania_rcab_edit/interior/materials/fabric_walls3.mat. Can't open file for read: C:/users/felix/desktop/neuer ordner/vehicle/truck/scania_rcab_edit/interior/vehicle/truck/scania_rcab_edit/interior/materials/plastic_gray_pattern.mat. Can't open file for read: C:/users/felix/desktop/neuer ordner/vehicle/truck/scania_rcab_edit/interior/vehicle/truck/scania_rcab_edit/interior/materials/plastic_gray_pattern_look2.mat. Can't open file for read: C:/users/felix/desktop/neuer ordner/vehicle/truck/scania_rcab_edit/interior/vehicle/truck/scania_rcab_edit/interior/materials/rubber_pattern.mat. 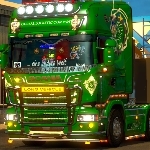 Can't open file for read: C:/users/felix/desktop/neuer ordner/vehicle/truck/scania_rcab_edit/interior/vehicle/truck/scania_rcab_edit/interior/materials/decals_spec.mat. Can't open file for read: C:/users/felix/desktop/neuer ordner/vehicle/truck/scania_rcab_edit/interior/vehicle/truck/scania_rcab_edit/interior/materials/mlaaweight.mat. Can't open file for read: C:/users/felix/desktop/neuer ordner/vehicle/truck/scania_rcab_edit/interior/vehicle/truck/scania_rcab_edit/interior/materials/lights_spec.mat. Can't open file for read: C:/users/felix/desktop/neuer ordner/vehicle/truck/scania_rcab_edit/interior/vehicle/truck/scania_rcab_edit/interior/materials/mesh.mat. Can't open file for read: C:/users/felix/desktop/neuer ordner/vehicle/truck/scania_rcab_edit/interior/vehicle/truck/scania_rcab_edit/interior/materials/dashboard_spec.mat. Can't open file for read: C:/users/felix/desktop/neuer ordner/vehicle/truck/scania_rcab_edit/interior/vehicle/truck/scania_rcab_edit/interior/materials/brushed_metal.mat. Can't open file for read: C:/users/felix/desktop/neuer ordner/vehicle/truck/scania_rcab_edit/interior/vehicle/truck/scania_rcab_edit/interior/materials/glass.mat. Can't open file for read: C:/users/felix/desktop/neuer ordner/vehicle/truck/scania_rcab_edit/interior/vehicle/truck/scania_rcab_edit/interior/materials/glass_dashboard.mat. Can't open file for read: C:/users/felix/desktop/neuer ordner/vehicle/truck/scania_rcab_edit/interior/vehicle/truck/scania_rcab_edit/interior/materials/seat_belt.mat. Can't open file for read: C:/users/felix/desktop/neuer ordner/vehicle/truck/scania_rcab_edit/interior/vehicle/truck/hermus/truck_white_ao_int.mat. Can't open file for read: C:/users/felix/desktop/neuer ordner/vehicle/truck/scania_rcab_edit/interior/vehicle/truck/hermus/b2_ao.mat. Can't open file for read: C:/users/felix/desktop/neuer ordner/vehicle/truck/scania_rcab_edit/interior/vehicle/truck/hermus/interior/far_mirror_reflection.mat. Can't open file for read: C:/users/felix/desktop/neuer ordner/vehicle/truck/scania_rcab_edit/interior/vehicle/truck/hermus/interior/far_s_mirror_reflection.mat. Can't open file for read: C:/users/felix/desktop/neuer ordner/vehicle/truck/scania_rcab_edit/interior/vehicle/truck/hermus/interior/close_s_mirror_reflection.mat. Can't open file for read: C:/users/felix/desktop/neuer ordner/vehicle/truck/scania_rcab_edit/interior/vehicle/truck/hermus/interior/close_mirror_reflection.mat. Can't open file for read: C:/users/felix/desktop/neuer ordner/vehicle/truck/scania_rcab_edit/interior/vehicle/truck/hermus/interior/cabvisor.mat. Can't open file for read: C:/users/felix/desktop/neuer ordner/vehicle/truck/scania_rcab_edit/interior/vehicle/truck/hermus/truck_lights_int.mat. Can't open file for read: C:/users/felix/desktop/neuer ordner/vehicle/truck/scania_rcab_edit/interior/vehicle/truck/hermus/b4_ao.mat. Can't open file for read: C:/users/felix/desktop/neuer ordner/vehicle/truck/scania_rcab_edit/interior/vehicle/truck/scania_rcab_edit/interior/materials/dashboard_r21.mat. Can't open file for read: C:/users/felix/desktop/neuer ordner/vehicle/truck/scania_rcab_edit/interior/vehicle/truck/scania_rcab_edit/interior/materials/difspec_4.mat. Can't open file for read: C:/users/felix/desktop/neuer ordner/vehicle/truck/scania_rcab_edit/interior/vehicle/truck/scania_rcab_edit/interior/materials/display.mat. Can't open file for read: C:/users/felix/desktop/neuer ordner/vehicle/truck/scania_rcab_edit/interior/vehicle/truck/scania_rcab_edit/interior/materials/brushed_metal_black.mat. Can't open file for read: C:/users/felix/desktop/neuer ordner/vehicle/truck/scania_rcab_edit/interior/vehicle/truck/scania_rcab_edit/interior/materials/brushed_metal_black_look2.mat. Can't open file for read: C:/users/felix/desktop/neuer ordner/vehicle/truck/scania_rcab_edit/interior/vehicle/truck/scania_rcab_edit/interior/materials/dashboard_r12.mat. Can't open file for read: C:/users/felix/desktop/neuer ordner/vehicle/truck/scania_rcab_edit/interior/vehicle/truck/scania_rcab_edit/interior/materials/gps.mat. Can't open file for read: C:/users/felix/desktop/neuer ordner/vehicle/truck/scania_rcab_edit/interior/vehicle/truck/scania_rcab_edit/interior/materials/fabric_walls2_look2.mat. Failed to detect path origin. Defaulting to "/vehicle/truck/5s_model"
ZModeler v3.1.2 (Build 1123) was für eine version ist das !!!!! das ist die Gecrackte version des Zmods die aber nicht mehr importieren kann. Da die PMG datein seit 1.30 geändert wurden. Eigentlich kann das hier zu gemacht werden. Das Problem ist gelöst, haben es Peer PM geklärt. Neue Version von ZMod 3.2.0 64x und es läuft.